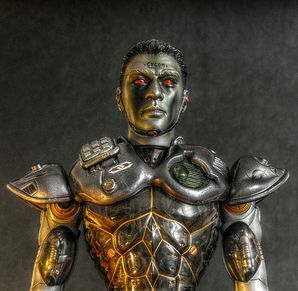 The Shyborg (Mechanicus timidatius) is the result of a failed science experiment designed to make a super-warrior by combining a person and a robot. Suffering from serious mental issues as a result of the experiment, it has fled to the dungeon and lives a life of solitude and depression - but is thrown into an uncontrollable rage when disturbed. This page was last edited on 26 February 2019, at 14:09.